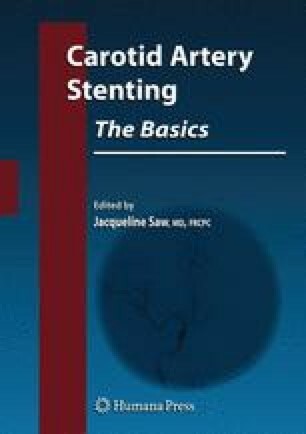 Considerable advances have been made in the development of carotid artery stenting (CAS). Increased operator experience and training have been coupled with improvements in technique and design of dedicated low-profile equipment, and the use of cerebral protection is becoming widespread. As a rival to CEA, the evidence in favor of CAS is most robust in high surgical risk patients. Results from ongoing rigorous large randomized trials are anticipated to address the utility of CAS in standard and low-risk patients.